U.S. restaurant goers increased their number of visits to foodservice outlets by 1% during the first three months of 2012, marking the strongest traffic gain since spring 2008, according to the NPD Group. The Port Washington, N.Y.-based market research firm also found that consumers increased spending at restaurants by 3% during the same period, with more than half of that gain coming from an uptick in industry wide average check rates. Restaurants chains were likely to see more familiar faces during the first quarter of 2012, as outlets in the quick-service, fast-casual, and casual- and family-dining segments saw an improvement in retention rates, according to the Restaurant Industry Tracking Survey by Santa Monica, Calif.-based research firm Dectiva. Olive Garden, On the Border Mexican Grill and The Cheesecake Factory markedly improved customer retention over 2011, while Buffalo Wild Wings led segment retention overall. Orlando, Fla.-based Smokey Bones Bar & Fire Grill has named Christopher J. Artinian as its new president and CEO. Artinian, who assumes the previously open post immediately, was formerly president and CEO of Morton’s Restaurant Group, Inc. Smokey Bones is a full-service bar and fire-grill restaurant that operates 66 locations in 17 states and employs nearly 2,300 people. It is owned by an affiliate of Boca Raton, Fla.-based Sun Capital Partners. The fast-casual Noodles & Co. pasta chain is testing a not-quite-full-table-service format in the evenings to drive incremental dinner sales. 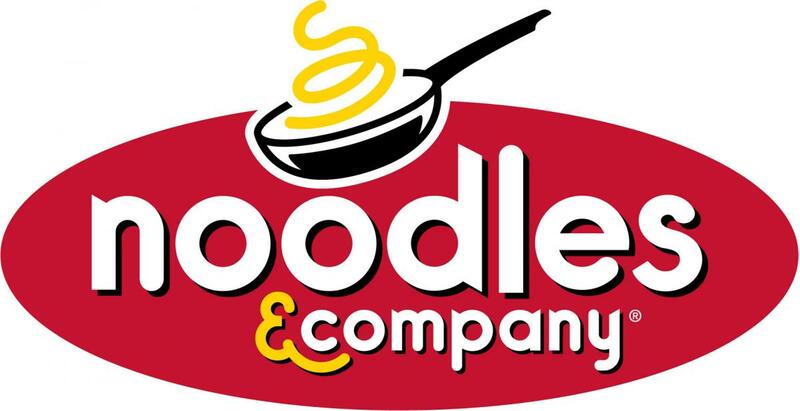 Under the Noodles PLUS program, which is being tested in five units in Colorado, Maryland and Illinois, restaurants will add hosts to the dining room floor starting at approximately 4:30 p.m. Guests will still order their meals at the counter, but the host will welcome diners, get water and offer to get another beverage, coffee or dessert so customers don’t have to get back in line. The chain also is expanding its existing wine and beer programs. Dallas-based Bennigan's Franchising Co. created a new incentive program that supports U.S. military veterans seeking to own a Bennigan's franchise by waiving its franchise fee for all qualified and honorably discharged veterans. The total savings is estimated at approximately $35,000 and will be offered through the end of the year. Concept Development Partners LLC invested an additional $6.5 million in Minneapolis-based brewpub chain Granite City Food & Brewery to help accelerate its post-recession unit growth. CDP has been an active owner since May 2011, when a preferred-stock transaction made it Granite City’s largest shareholder and also ushered in CDP’s Rob Doran as its chief executive. Doran, a former McDonald’s USA executive, along with Granite City founder and president Steve Wagenheim, have introduced a program to remodel Granite City’s 27 locations and pare down the menu to the best sellers. California-based El Torito is trying to strike the right chord with guests through its new “Santana Saturdays” promotion with Casa Noble tequila. Patrons who order Casa Noble’s signature “Smooth Margarita” at any of the Mexican restaurant chain’s 59 locations throughout California will receive a custom guitar pick necklace inspired by musician Carlos Santana, a partner in the tequila brand. Los Angeles-based Veev Spirits, makers of VeeV Acai Sprit, appointed the company’s first chief operating officer this month: Bryan Crowley. Crowley will play a critical role as VeeV launches a line of new spirits products this fall while looking to continue its triple-digit growth nationwide. Wine Institute, the public policy advocacy group representing nearly 1,000 California wineries, announced the election of Kathleen Heitz Myers of Heitz Wine Cellars in St. Helena as its board chairman for 2012-13. The election was held at Wine Institute's 78th Annual Meeting of Members at Lake Tahoe. Chicago-based Wirtz Beverage Group announced a reorganization of its corporate team following that appointment of Ed Callison to the role of executive vice president and Danny Wirtz to senior vice president. Other appointments include: Glen Hoch, vice president of business development; Dave Walsh, vice president of commercial strategy; Mike Kennedy, chief information officer; Carrie Bach, director of commercial development; and Jennifer Gera, director of business technology. New Rochelle, N.Y.’s Sidney Frank Importing Co. Inc. recently appointed Adam Rosen executive vice president, marketing/Jägermeister. In this newly created position, Rosen, who most recently worked as group brand director of Diageo’s Scotch whisky portfolio, will oversee all marketing initiatives for the Jägermeister brand. Wholesale distributor Republic National Distributing Co. announced Joe Gigliotti is now executive vice president of RNDC Control States. In his new role, Gigliotti, who joined the sales leadership team at RNDC in 1999, will partner with various state sales teams and ABC commissioners to ensure proper execution of business practices.